Happy Monday! Today I have a very seasonally appropriate post...swatches of the Fall 2014 Zoya Ignite Collection. This set is the shimmery sister to the creamy Zoya Entice Collection (which I used in nail art here). Ignite's six deep, rich colors are made even more lush with the "liquid metal" finish. I know winter collections are already being released, but these colors make me want to stay in the Autumn "space" a little bit longer! I'll start with my absolute favorite. 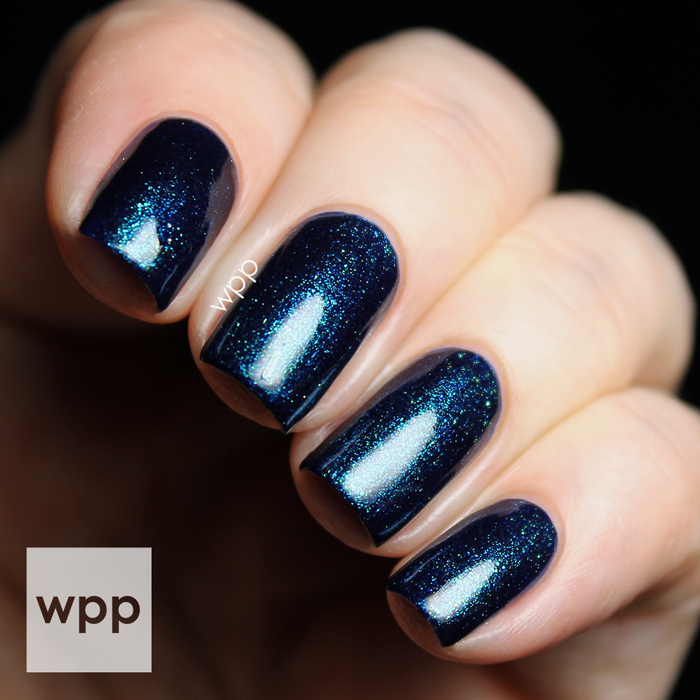 Remy is a deep blue with copper and gold accents. Wow! It is so intense and gorgeous. The only downside is it stains, so wear a base coat and remove your polish carefully. Don't go scrubbin' wild with a cotton ball...you'll have Smurf fingers for sure! Just hold a (lightly) remover-soaked cotton ball or pad against your nail for a few seconds; then deliberately swipe in a straight line from cuticle to tip. Use a fresh cotton ball to remove any polish left at the sidewalls. (Actually, this removal advice came directly from Zoya's Creative Director, Rebecca Isa. I interviewed her for a story about product removal for the August 2014 issue of NAILPRO Magazine. You can read it here if you're interested.) Okay, sorry about that tangent...back to the polish. Remy. Extreme. Blingy. Awesome. Two coats. Zoya describes Yuna as a grey. It's hard to describe - it looks almost like a dusty teal in some light. The golden highlights have a green sheen (makes sense...yellow + blue = green!) The effect is more subtle and less ultra-metallic like the others. This one is growing on me and I can totally wear it to work. This is two coats. 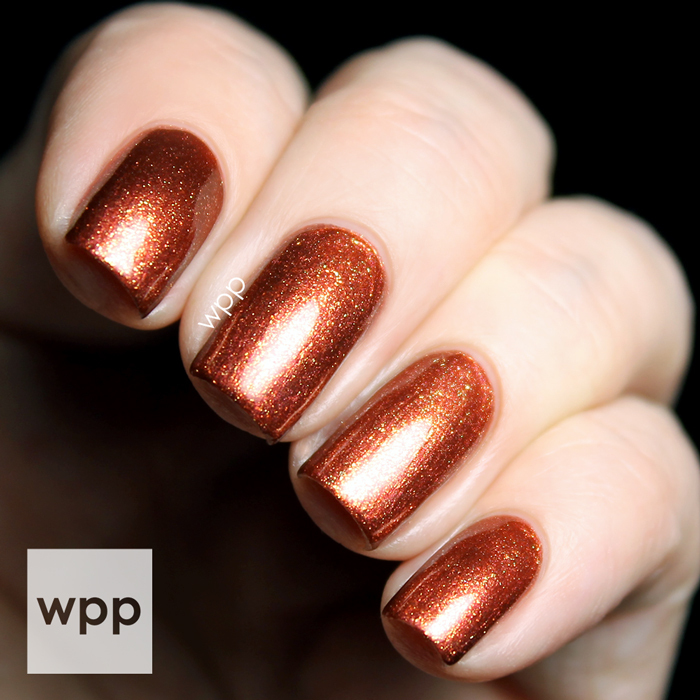 If you wrapped up all of the great things about the season, you'd get Autumn, a deep copper with a golden shimmer. This one really has that "liquid metal" effect that Zoya describes. Very pretty. I've used two coats here. Here's Tiegen. It's a berry red with a coppery metallic shimmer. This one looked more purple in some light. I used three thin coats, just because it was my first swatch and I was being careful. You could get away with two. 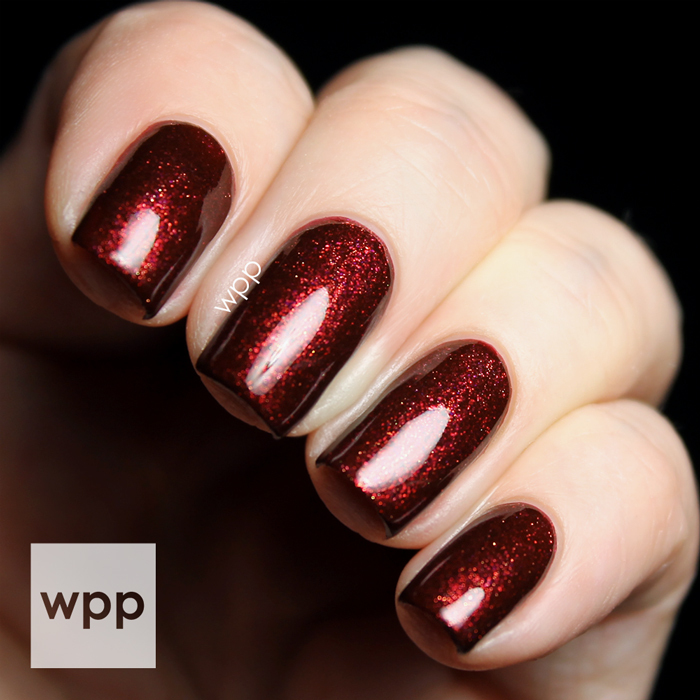 Sansa is a dark eggplant purple with golden shimmer. Purple and gold always go great together and the result is a little vampy with a kick. Sansa is a close second fave for me. This is two coats. And finally, this is India, a rich, golden burgundy red. The shimmer has a copper cast against the red base. I used two easy coats. I used one coat of Zoya Armor topcoat on each swatch. I should mention that I first tried to coat them with Seche Vite (just out of habit) and it shrunk the color terribly. I've read this happens because Zoya is 5-free and Seche Vite is not. I'm not chemist...so I have no idea if that's true. In any event, I had no issue with Armor. It has a nice shiny finish, dried pretty fast and no shrinking! Sooooo what do you think of the Ignite Collection? Normally I shy away from metallics, but these all have an awesome depth and sparkle. Like I said, Remy and Sansa are my faves, but all six are beautiful and are a breeze to apply. The Zoya Ignite Collection is available now. Polishes retail for $9.00 each (US). They can be purchased at Zoya.com, select stores and spas and in ULTA beauty stores (not online). Zoya offers frequent promotions, so be sure to follow their Facebook and Instagram to get the scoop!